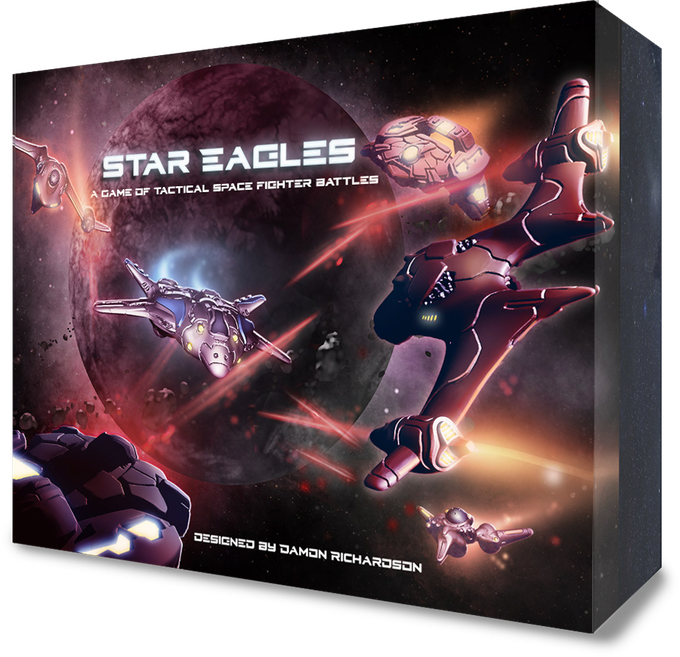 Ganesha Games have launched a new box game on Kickstarter – Star Eagles. This is a sci-fi game of space fighter combat using 1/285 scale miniatures, which are produced in resin. Although the game has it’s own universe, with it’s own models, it has an open source unit building system, which basically means you can use whatever models you like in the game, and build ships to your own design. Two full sets of miniatures are planned by the company, and the game can be played at three different levels, requiring a 3×3, 4×4 or 6×4 playing area. $50 will get you the rules, plus a full set of STL files to print your own ships for the game. Further options allow players to purchase full squadrons, plus a deluxe starter set including a neoprene playmat. The gameplay looks interesting, and the models for the two factions in the game look pretty nice – I especially like the Con-Star faction. The open source design and campaign play are potentially big draws – from a couple of pictures on the kickstarter you can already see the potential for using your X-Wing ships in this game, if you fancy playing something a bit different. At time of writing the project has reached almost 75% of its $16,000 funding goal, and is running until May 5th 2017. The digital version of the produce is due to be available in July 2017, with physical copies of the rules, box set and models planned for September 2017.